Love fresh donuts & coffee? 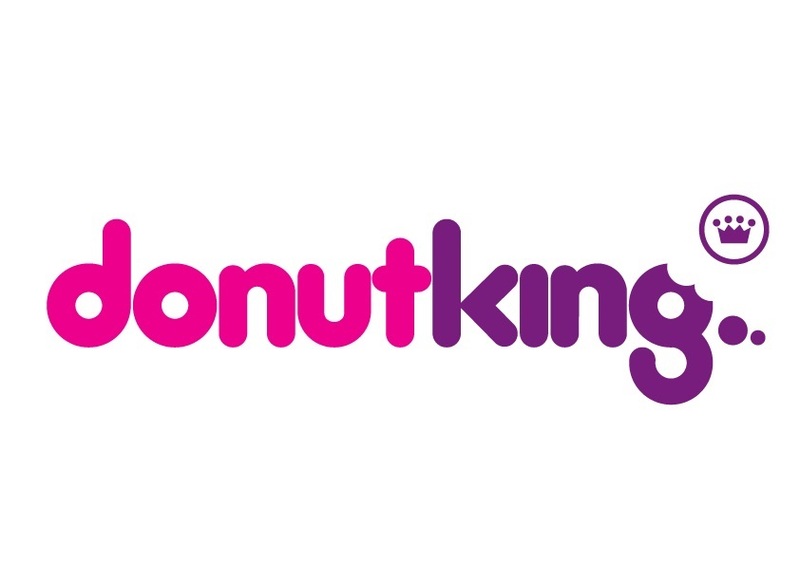 Be your own boss with a Donut King Franchise! NEW site opportunity in Colonnades Shopping Centre, SA! Donut King is Australia’s largest & most successful Donut Franchise chain. All training provided - enquire now! Donut King’s Marketing Department are a team of qualified professionals with years of experience creating and implementing innovative and successful marketing programs. During the past three decades, Donut King has evolved into Australia’s largest specialty donut and coffee destination, with more than 325 outlets across Australia, New Zealand, China, Papua New Guinea and the Kingdom of Saudi Arabia. Apart from its world-famous DK Cinnamon Donuts, Donut King also treats customers of all ages to 'original' and 'classic' donut ranges, milkshakes; Quake Shakes, frozen beverages, hot dogs, ice creams, toasties, and its very own blend of espresso coffee, Royal Bean. We offer a large range of store types ranging from a drive thru operation to a full format inline café or kiosk with seating. 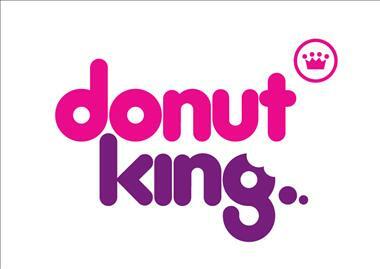 Donut King is part of Retail Food Group (RFG) – Australia’s largest multi-food franchise group. RFG is also the proud franchisor of 10 other iconic brands: Brumby’s Bakery, Michel’s Patisserie, bb’s cafe, Pizza Capers, Esquires Coffee Houses, Crust Gourmet Pizza, The Coffee Guy, It's A Grind, Cafe2U and Gloria Jeans Coffees. So why wait? If you have the enthusiasm, a passion for retail, and wish to be apart of one of Australia’s most trusted and loved brands – enquire with Kellie today! Detailed brand and store sales information is also available on request. Donut King is the KING of opportunity; we operate in all states and territories within Australia. We attract consumers from all age groups and socio-demographic areas. Donut King is now much, much more than simply the World’s most delicious donuts - tastes change over time and our tastes have changed too. 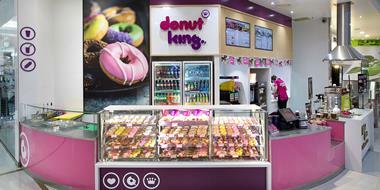 While still offering the old favourites, Donut King has also introduced a wider range of snack options, including healthy smoothies and low fat ice cream and milkshakes. Love fresh donuts & coffee? Be your own boss with an established franchise! 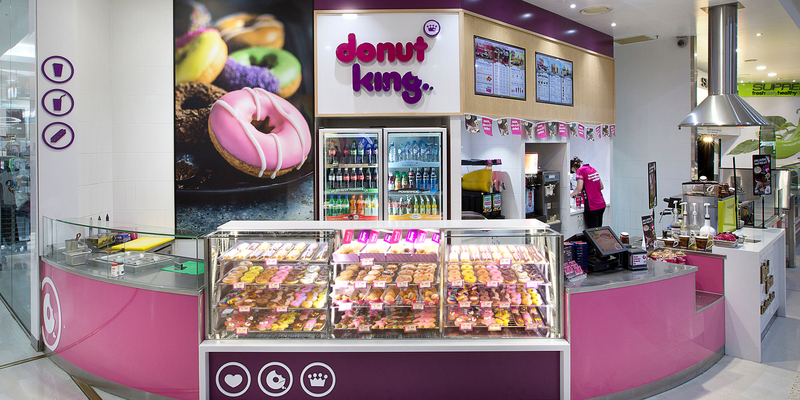 Be your own boss with a NEW Donut King Franchise - Oasis Shopping Centre! 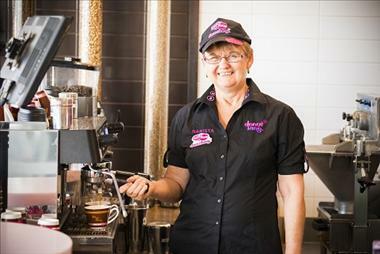 Be your own boss with a NEW Donut King Franchise - Westfield Marion!